David Rothenberg (b. 1962) is a professor of philosophy and music at the New Jersey Institute of Technology, with a special interest in animal sounds as music. He is also a jazz musician whose books and recordings reflect a longtime interest in understanding other species by making music with them. Rothenburg graduated from Harvard and took his PhD from Boston University. 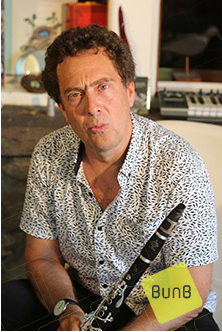 As an undergraduate at Harvard, Rothenberg created his own major to combine music with communication. He traveled in Europe after graduation, playing jazz clarinet. Listening to the recorded song of a hermit thrush, he heard structure that reminded him of a Miles Davis solo. Rothenberg is a professor of philosophy and music at the New Jersey Institute of Technology, with a special interest in animal sounds as music.